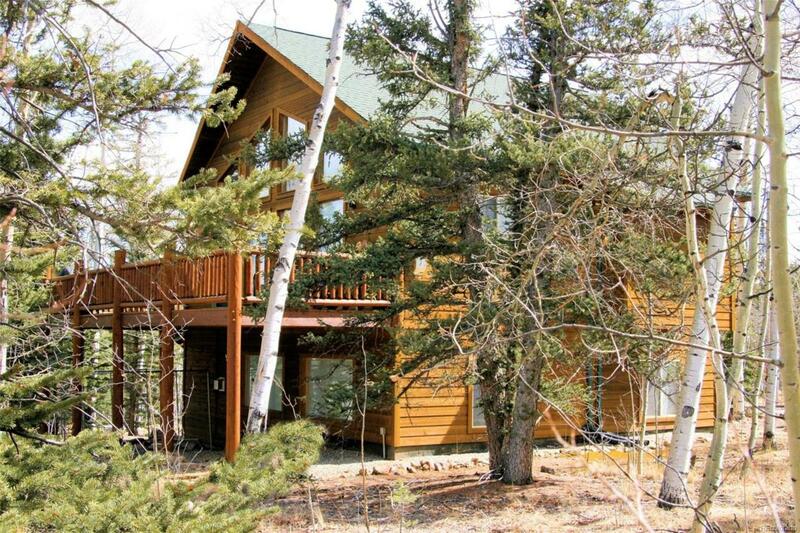 Take in the wildlife and views through the wall of windows in this immaculately maintained 3 bedroom, 2 bath partially furnished mountain chalet with end of cul-de-sac privacy, gorgeous greatroom with rock fireplace, bay-window dining, and family room with gas stove! Wonderfully decorated, beautiful kitchen with rich wood flooring, nice deck, fire/horseshoe pits, landscape lighting, and nicely treed with Pine and Aspen. Within an hour of Breckenridge, close to National Forest, Spinney, Elevenmile, Jefferson, and Antero Reservoirs. Within an hour to the North, Middle, and South Forks of the South Platte River and also the great Arkansas River.Must See!